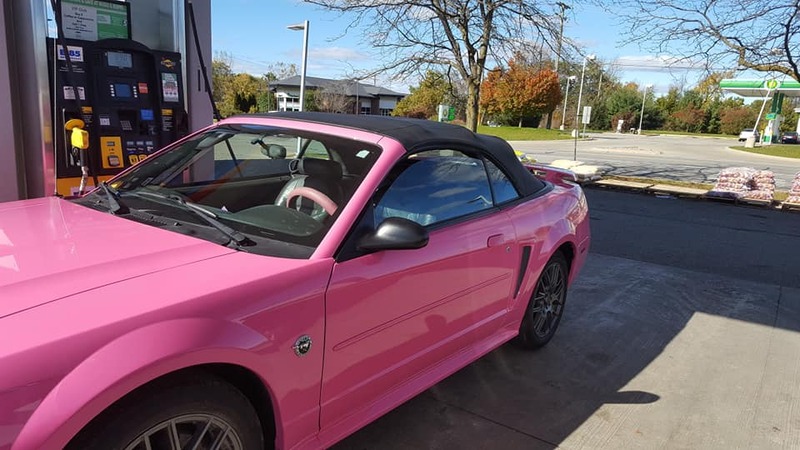 Looking for ways to customize the interior of my newly painted PINK 2004 Convertible... I live in Michigan near Ann Arbor. Does anyone have any ideas? 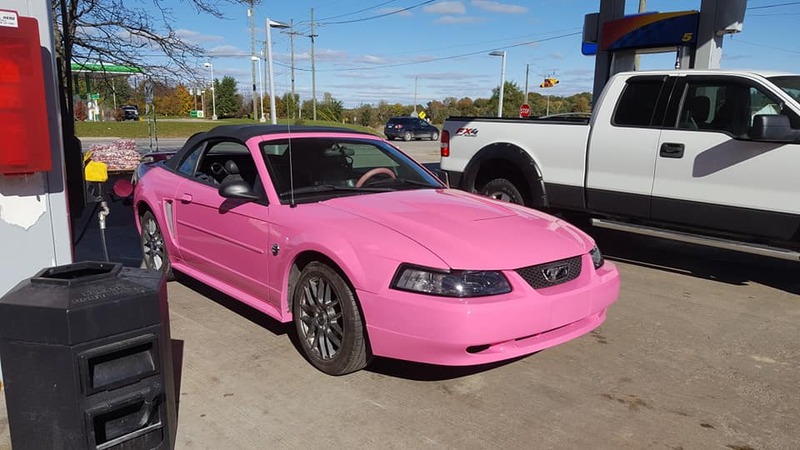 My wife is in love with your Barbie Mustang. Since you are in Ann Arbor check with MRT in Plymouth. Thank you, Jim! Tell your wife I am in love with it too! Pull all the trim and have the shop that did the paint match them too. The door grabs, the door handle cups, surround for the stereo, shifter bezel, cluster bezel etc... If you are feeling really froggy you could get an upholsterer to redo the seats with pink microfiber/alacantra inserts. TBTH I'd just pull all the easy to remove trim pieces and paint them pink and then go for a really clean interior as in replace anything that is broken. Redline Goods has some cool leather accents with a lot of color options. I've seen a few 99-04 Mustangs with their products. They aren't cheap, but they look good. Not cheap but worth it. I'm getting ready to order a shifter boot, e brake boot and console armrest cover. Kicking around the door panel leathers.